The Governor of Kansas, Laura Kelly, yesterday signed the Senate Substitute for House Bill 2167, which establishes the state’s Commercial Industrial Hemp Program. Last year, legislation for a hemp pilot program was signed into law. House Bill 2167 takes thing further. It requires the Kansas Department of Agriculture (KDA), after conferring with the governor and attorney general, to submit a plan to the United States Department of Agriculture (USDA) showing how Kansas will monitor and regulate the commercial production of industrial hemp under the provisions of the 2018 Farm Bill. House Bill 2167 also establishes bans on the production and marketing of specific products – including cigars, cigarettes, chews, teas or vaping products containing industrial hemp. However, it also states it “shall not otherwise prohibit the use of any such ingredient, including cannabidiol oil, in such hemp products.” Also, the sale of industrial hemp buds, ground floral or hemp leaf material will be illegal to anyone other than a licensed processor. The KDA will oversee and annually license all individuals participating in the cultivation, growth, research, oversight,study, analysis, transportation, processing or distribution of industrial hemp; including certified seed and clone plants. This legislation will become effective when published in the Kansas Register. Once the USDA reviews and approves Kansas’s commercial hemp program plan, it will replace the pilot program that was implemented under the much more restrictive provisions of the 2014 Farm Bill. 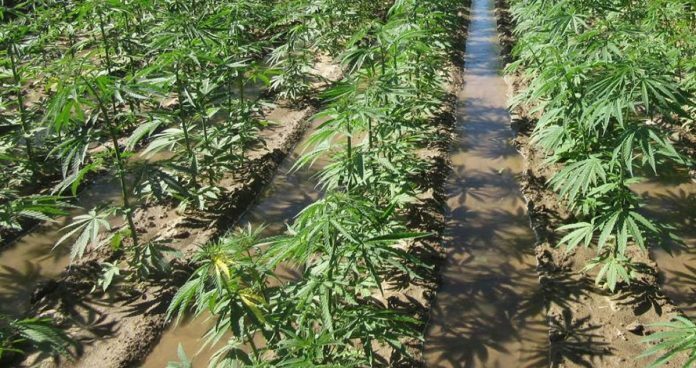 2019 is the first year that hemp can be grown in the state under the 2014 Farm Bill enabled pilot, and applications closed March 1. According to KSNT, 370 applied for licenses this year; including growers, distributors and processors. However, up until earlier this month, only 19 of 238 growing licenses had been approved – and farmers will be keen to get crops into the ground soon.